The room was big with comfortable bed. It was clean and good looking. Hotel is well situated. I thought it's near the airport, and it is, just 4 stops if taking the 175 bus. The next day I took uber back to airport, it's very convenient! The room's clean, everything is fine. The desk staff was quick to help and made things easy. The WiFi was fast and was easy to connect to. Location and staff... Two different public bus coming to hotel...from Airport arrival to hotel just t mins. Room was clean. Shampoo and soap were available in dispensers. 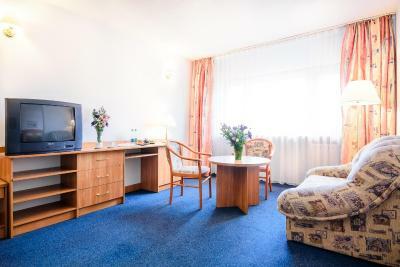 Hotel is very close to Chopin Airport (about 15 minutes walk). There is also bus stop nearby. Good and not expensive place to stay for several hours if you have long transfer in Chopin airport. it seems like the rooms have not been renovated or decorated since 1960. The location is really good, about 15 minutes walking from the airport. The room was clean and comfortable with a great view from the window. The welcome bar includes 2 bottles of water, tea, and coffee. Wi-Fi is free and pretty stable. I suggest this place everybody who need a close place to the airport. Close to airport. Everything was really nice. The breakfast was awesome. 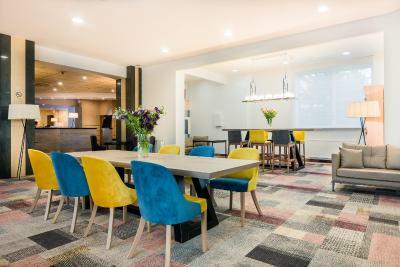 Sangate Hotel Airport This rating is a reflection of how the property compares to the industry standard when it comes to price, facilities and services available. It's based on a self-evaluation by the property. Use this rating to help choose your stay! 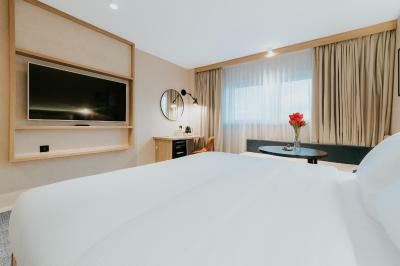 One of our top picks in Warsaw.Located just 2,650 feet from Warsaw Chopin International Airport and right by a major route leading to the city center, Sangate Hotel Airport features rooms with satellite TV and free WiFi. The center of Warsaw is about 4.3 mi away. All rooms at Sangate Hotel Airport are fitted with a private bathroom with a shower or a bath. Guests can benefit from a work space with a desk and a telephone. Tea/coffee making facilities and mineral water are also provided in each room. 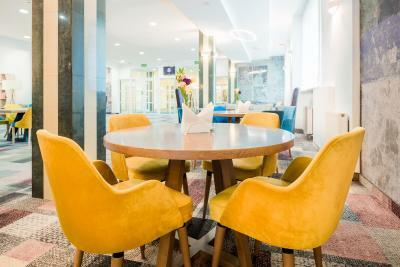 Sangate Hotel Airport features a restaurant which serves traditional Polish and international dishes. In the evening, guests can relax in the lobby bar. Front desk staff is available 24 hours a day and can arrange laundry and ironing services. There also is an on-site souvenir shop. Both secured and regular parking are available at a surcharge. 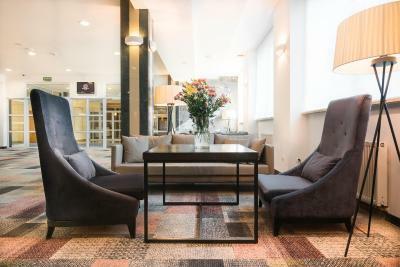 Sangate Hotel Airport is located within a 5-minute drive from the Galeria Mokotów Shopping Center. The nearest bus stop is only a 2-minute walk from the hotel. Wlochy is a great choice for travelers interested in shopping, sightseeing and city trips. When would you like to stay at Sangate Hotel Airport? 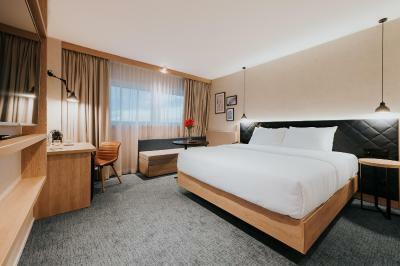 More spacious room with 2 beds, free Wi-Fi, satellite TV and a private bathroom with toiletries. Private parking is available on site (reservation is not needed) and costs PLN 40 per day. High-end, air conditioned, 2-room accommodations with a spacious bathroom. A spacious apartment with a comfortable bedroom and large living area. Includes an extra large bathtub. Elegant apartments on the highest floors of the hotel. An elegant room that features air conditioning and a private bathroom. Spacious, air-conditioned room with 2 beds comes with tea/coffee-making facilities, satellite TV and free toiletries in the bathroom. 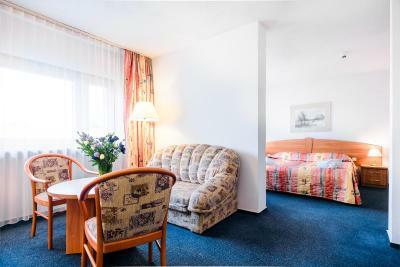 This single room features air conditioning, a TV and tea/coffee-making facilities. There is also a bathroom with a shower. Bed type preference cannot be guaranteed as it will be allocated upon arrival based on availability. Please note that the room rate is based on 2 guests. Maximum occupancy is 2 guests (see Hotel Policies). House Rules Sangate Hotel Airport takes special requests – add in the next step! All children under 12 years are charged PLN 45 per night for extra beds. Any additional older children or adults are charged PLN 70 per night for extra beds. Sangate Hotel Airport accepts these cards and reserves the right to temporarily hold an amount prior to arrival. Guests that require a VAT (Value-Added Tax) invoice must provide their details to the hotel, otherwise the invoice will be issued in the name of the person who made the booking. My bed was very poor. So bad in fact, I removed the very thin mattress, and slept on it on the floor. No matter anything else, if a hotel can’t provide a good bed, then, sorry, I’m not staying there again. I recommend you give this one a miss, and pay an extra few euro for a different hotel. 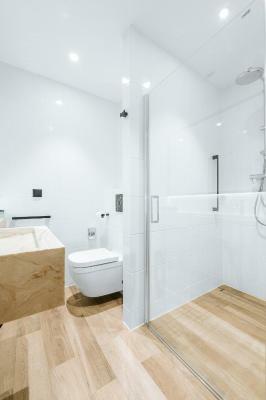 When it comes to wheelchair-ready features there is very poor showering solution. The seat is way too high and way to small and short, which makes it extremely difficult for person without trunk stabilization/ no waist muscles. Also the shower water battery is right behind the shower seat which makes it even more difficult and burned my skin, which I couldn't feel. If they would change this showering solution, my experience would be very good because everything else was well done. Great for a layover - 3 minutes by car to the airport. Near the airport but did not provide a shuttle. Bldg is outdated, smells. My room smelt of smoke which i was not happy with, but i was to tired to ask for a change of room as i was getting up at 3am in the morning. Hotel is a bit of Soviet style - the rooms are clean, but make you feel like in the late 1980s. I suppose it's a bit more expensive than it deserves. The electricity point next to the bed is somewhere under it, and I had to lay on the floor to reach it - that wasn't convenient at all. The location is great - very close to the airport (in a walking distance - about 15 minutes). The stuff was helpful, the breakfast - gorgeous. I stayed just for one night, arrived late in the night and departed early in the morning, so there is nothing more I can add. The room has no refrigerator, hair dryer. The breakfast is good, a lot of things to eat. Fantastic service at restaurant and bar. it was cold in the room, the water in the shower was lukewarm, it was written that shampoo facilities will be in the room - do not believe, it is some kind of liquid in the shower dispenser.